Junior Kareem Allaf finished as the last man standing in the 128-man tournament in Oklahoma. Kareem Allaf hits a forehand during the first round of the Men's Big Ten Tennis Tournament at the HTRC on April 26, 2018. 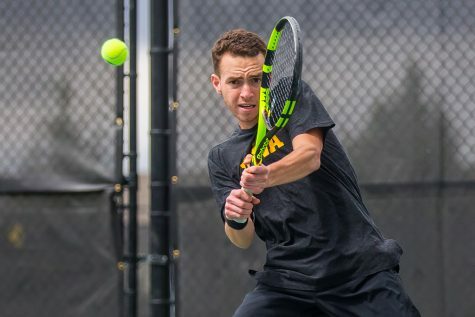 Iowa junior Kareem Allaf won six-straight tennis matches to capture the Central Regional singles championship at the Case Tennis Center in Tulsa, Oklahoma, on Sunday. 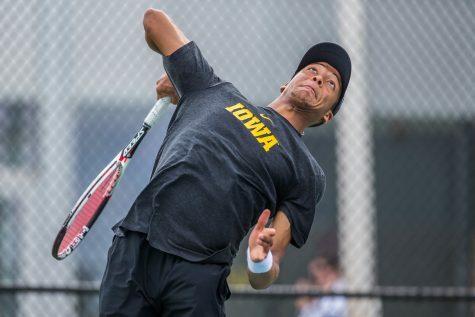 Allaf’s victory puts himself in elite company among Hawkeye tennis players. His title makes him just the third Hawkeye to accomplish the feat. In 1994, Bryan Crowley won a championship, and Tyler Cleveland won the Midwest Regional crown in 1999. 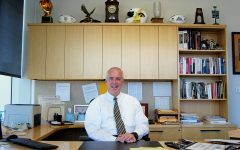 Allaf is the only Hawkeye to win the Central Regional title. 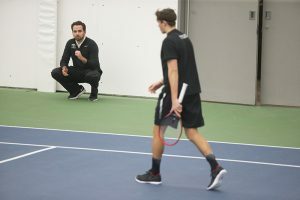 Allaf started off 4-0 through the first three days before playing Murkel Dellien of Washington State in the semifinals, whom he beat in three sets (7-6 , 1-6, 6-2) on Sunday to advance to the championship. Finishing the tournament strong, Allaf bested No. 39 Majed Kilani of Tulsa (7-5, 2-6, 6-3). 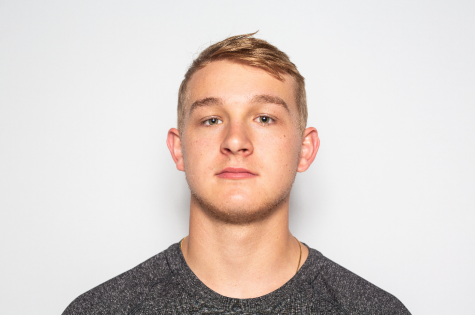 More important than the victory, however, is by winning the regional title, Allaf earned himself an invitation to the Oracle National Fall Championships, from Nov. 7-11 in Sunrise, Arizona. 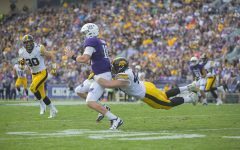 Besides Allaf’s huge accomplishment, other Hawkeyes, too, had themselves a nice weekend. 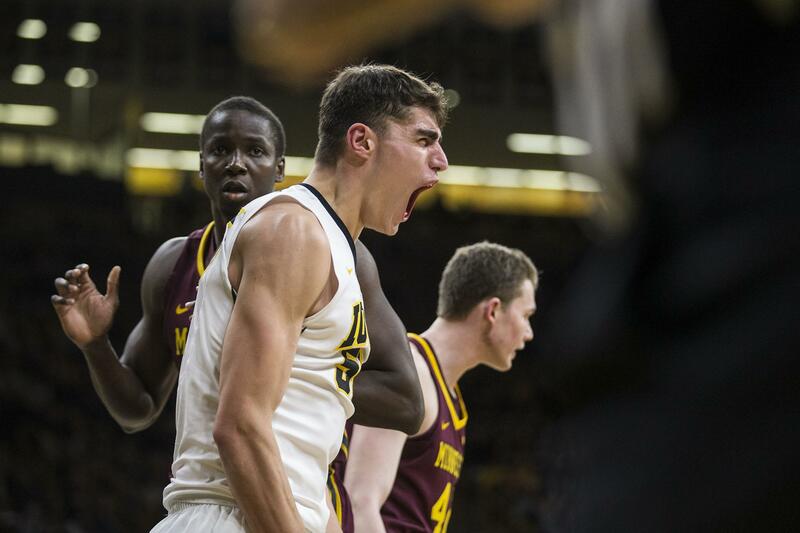 Two other Iowa players made it to the Round of 16. 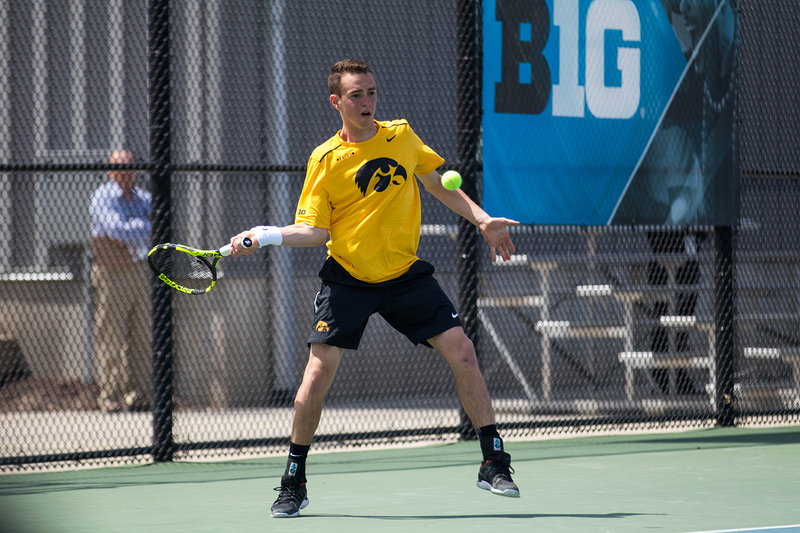 Will Davies and freshman Oliver Okonkwo joined Allaf, making it what is believed to be the first time in program history three Hawkeyes advanced to the Round of 16 in the same year of the regionals singles main draw. Okonkwo defeated Oklahoma’s Jordan Bertsch in a three-set thriller (7-6 , 3-6, 6-2), and Davies beat Washington State’s Orel Ovil (6-3, 6-1). 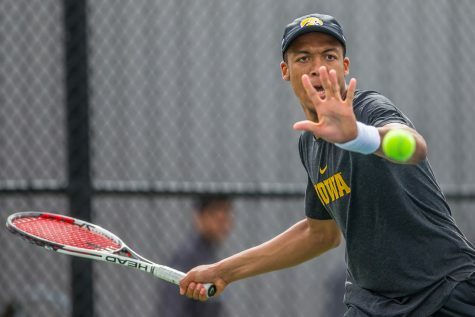 Unfortunately for Iowa, both were bounced in the Round of 16, Okonkwo at the hands of Allaf, who won in straight sets (6-2, 6-4). 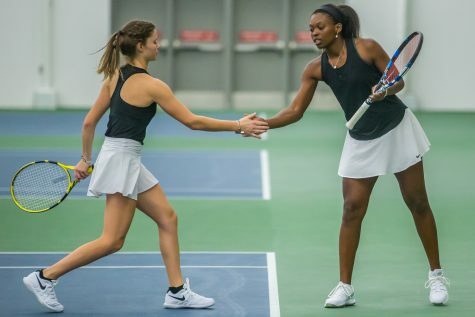 Still, both played well as a doubles pair, going 3-for-3 before losing in the doubles quarterfinals to Ohio State. 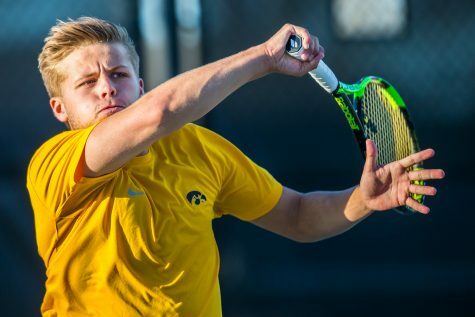 The other Hawkeyes did not have such great tournaments, however — they all got bounced before the Round of 32 in the singles main draw. 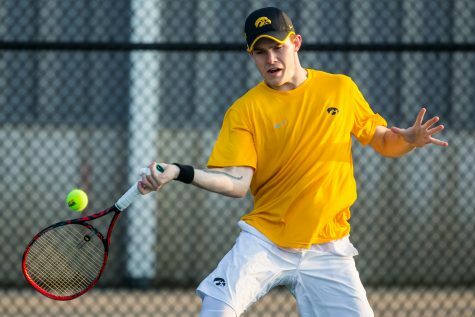 Nonetheless, all Hawkeyes were able to come out of with a win, winning at least one consolation match. 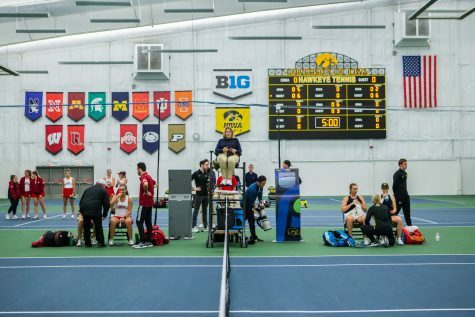 Iowa will return to action again this week, playing on Friday at the Big Ten Indoor Tournament in Ann Arbor, Michigan.